Doctors and clinicians join individuals in recovery to discuss the neurobiology of addiction, the symptoms and consequences of drug abuse, treatment options, and life in recovery. Over the 90-minute video, viewers receive an education on symptomatology, pharmacology, neurobiology, treatment, and recovery management. Specific drugs discussed include alcohol, nicotine, marijuana, heroin, cocaine, synthetic marijuana, inhalants, prescription drugs, and more. 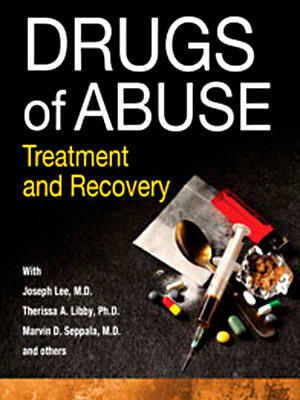 Drugs of Abuse demonstrates the progression from drug abuse to recovery management, from residential treatment sites to outpatient treatment options and sober living. The accompanying CD-ROM features reproducible materials for both clients and professionals, including simple instructions for locating worksheets, handouts, and excerpts in order to deliver topic-specific information in clinical settings.